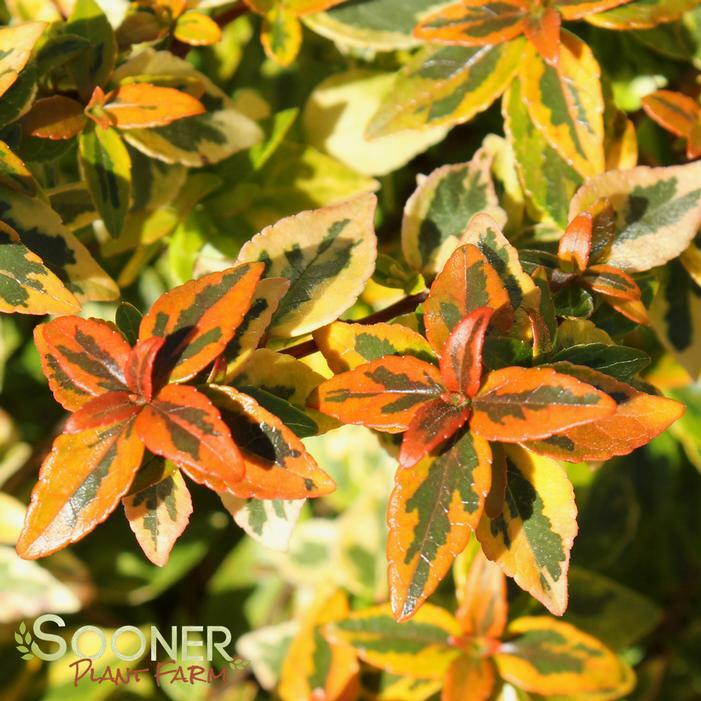 Multi-colored foliage adds eye popping color and texture to the landscape. Flowers white during summer months. Grows to be 2.5 feet tall by 3.5 feet wide. Foliage is evergreen. Plant in full to part sun. Attracts butterflies and hummingbirds.